Jason Steinberg is an educator and social entrepreneur with a passion for sports, music and social justice. After graduating from UNC Chapel Hill, he taught English and coached high school basketball in Micronesia. When the team couldn’t afford sneakers or jerseys, Jason began fundraising and the seeds of ISMP were sown. When he isn’t spending time on the ground with our international partners, Jason lives in Brooklyn, New York. Jason spends his free time playing guitar, shooting hoops, reading Kurt Vonnegut and going to concerts. Eric Branse joined ISMP in 2015 and serves as the Assistant Director. He currently lives in Boston where he works as a software consultant. He has a lifelong passion for sports and music and spends his free time running, devouring books and chess puzzles, and following Phish up and down the East Coast. Arie Wolf is a computer programmer, world traveler, and dream journaler. He spends his summers working at the summer camp where he grew up, and his desire to bring the happiness he sees in his campers to children around the world led him to us. As Chief Technology Officer, he runs the ISMP website and handles all technical matters for the organization. When he's not working Arie enjoys rock climbing, crossword puzzles, and being silly. Amber Parker is a digital marketing consultant who loves to help organizations find their people. She was drawn to ISMP by the clarity of our mission and the dedication of the rest of the core team. When she’s not nerding out on marketing trends, Amber is singing karaoke or keeping tabs on the New Orleans Saints. Amber lives in sunny San Diego, CA. Jonah Mahrer is a management consultant living in Los Angeles. The rich history of sports and music in his family’s heritage brought him to ISMP. He is committed to his role as Development Director, and leads our development team. 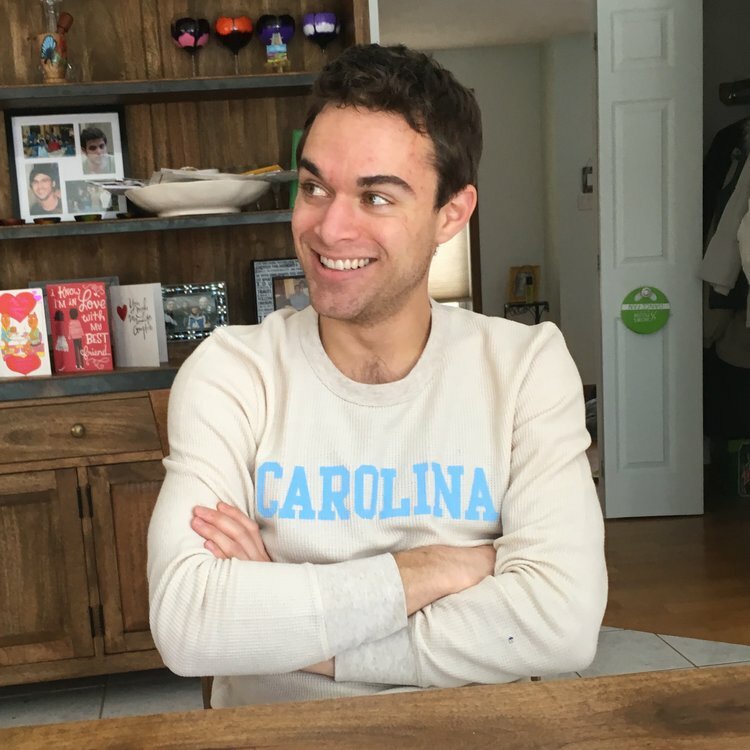 When he isn’t working to make meaningful connections for ISMP, Jonah is rooting for the UNC Tar Heels (his alma mater), scuba diving around the world, and jamming out to the Grateful Dead. Anna Reynolds, PhD, is an AmeriCorps alum and scientific communications consultant specializing in grants and medical writing. Anna has been actively involved in youth outreach programs (e.g., JumpStart and Brain Awareness) and has a passion for creative self-expression and community service. Anna received her doctorate in Experimental Psychology (with concentrations in Behavioral Pharmacology and Neuroscience) from the University of Kentucky and continues to live in the Bluegrass state. Anna enjoys spending time with her family, hiking, yoga, and ballet barre. Michael Tommer, ISMP’s Volunteer Coordinator, is a graduate of UNC Chapel Hill who works in the sports and entertainment industry. As a lifelong fan of all things sports and music, Michael was drawn to ISMP by the organization’s dedication to utilizing sports and music as tools for the growth and support of individuals in vulnerable communities throughout the world. Michael lives in New York, and in his spare time he enjoys playing and watching all sports, playing the drums, listening to podcasts, and reading.